The Pitchfork Music Festival lineup is out! Haim, The Isley Brothers and Robyn headline! Mavis Staples, Belle and Sebastian, Charli XCX, Earl Sweatshirt, Stereolab and Whitney also top the lineup! There's some big names here, some with a big history. The Isley Brothers are celebrating their 60th anniversary of music and will be bringing some surprises to the show. Stereolab is gettin' the band back together and this will be their first U.S. gig in 10 years. The Pitchfork Music Festival dates are July 19 - 21, 2019. 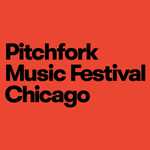 You can get Pitchfork Music Festival tickets now in single-day or weekend tickets. At last count, they're selling at $75 and $175 respectively. 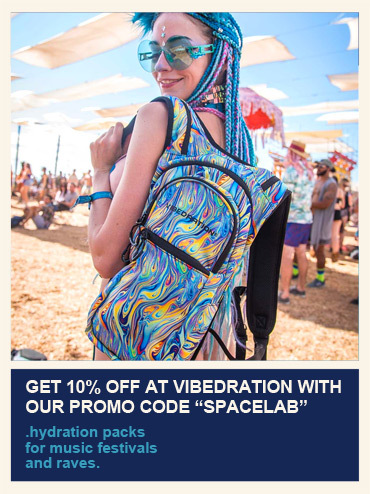 Pitchfork PLUS tickets are also available and include LOTS of amenities. 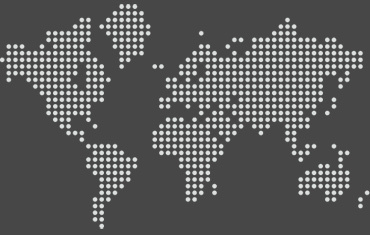 See the ticket section below for more. 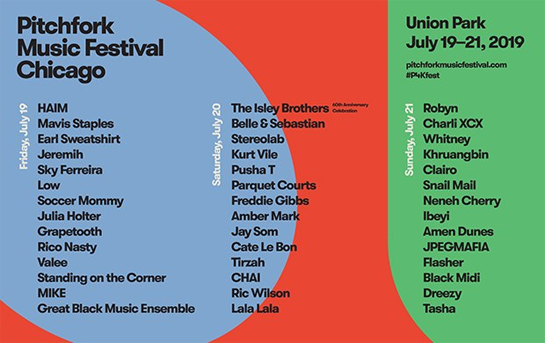 Pitchfork Music Festival 2019 is a highly regarded music festival with a lineup of indie and electronic music and hip hop for a great weekend in Union Park in Chicago! The Pitchfork Music Festival 2019 lineup and Pitchfork Music Festival 2019 tickets are below! Pitchfork Music Festival tickets are on sale! Tickets are available in single-day or weekend options. At last count, they're selling at $75 and $175 respectively. Pitchfork PLUS tickets are also available and include LOTS of amenities. 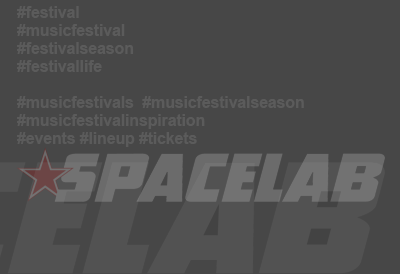 For $375 you get weekend access for the festival including premium food vendors, private specialty bars, and premium air-conditioned bathrooms. The Pitchfork Music Festival lineup for 2019! Haim, The Isley Brothers and Robyn headline! Mavis Staples, Belle and Sebastian, Charli XCX, Earl Sweatshirt, Stereolab and Whitney also top the lineup.